Environ products and treatments restore the radiance of your skin. Our skin is losing vitamins on a daily basis due to external factors such as stress, air pollution and overexposure to UV rays. The Environ® philosophy is based on making/keeping skin healthy by correcting the chronic vitamin deficiency. This normalizes all cell and skin functions, resulting in healthy, youthful and radiant skin. Not the symptoms, but the causes of skin problems are addressed. There are specific Environ product lines for women, men, children and sun protection. 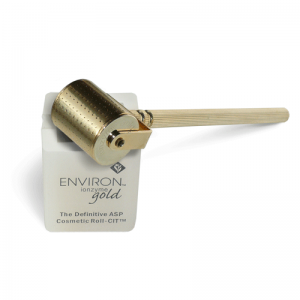 Environ is frequently used at the clinic for various treatments. An additional advantage: you can continue the care at home for optimal results. The sooner you start with a skin care programme for young skin, the more of a head start you’ll have when it comes to skin problems in your adolescent years. Do you want more information? Our skin specialists are happy to help you. 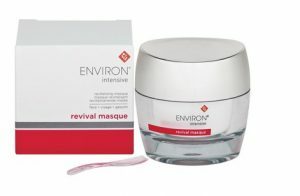 And why not ask for the innovative Revival Masque treatment and experience the unique combination of active ingredients? It’s also possible to receive a medical micro-needling treatment. It boosts the uptake of active ingredients by your skin. Our beauty salon uses the Ionzyme® DF device from Environ® Skin Care. The DF device increases the uptake of care products in comparison to their manual application. The DF device applies two scientifically proven methods, i.e. intermittent iontophoresis and low-frequency sonophoresis. They increase the uptake of the professional vitamin products by 400% and 4000%, respectively, compared to a manual application. Do you want to give your face a real boost? Try an Environ treatment. As a client of the clinic you can easily order all Environ products. All products are shown below. Have you found the right one? Send an e-mail with the desired product or call 070-7370088. We will gladly send it to you! Op de hoogte blijven van actie’s, vacatures of Beauty news?